Cyrano De Bergerac meets Cinderella. 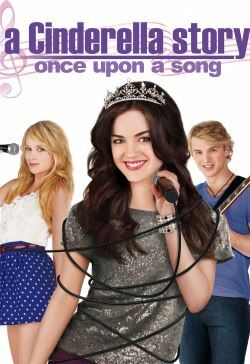 Over-worked, harried and terrified of being put back in foster care, 17 year old Katie (Lucy Hale) does her stepmother and step-siblings' bidding without complaining. Vocally gifted, Katie feels particularly upset when forced to lay down singing tracks so that her untalented stepsister, Bev Van Ravensway, can hopefully win a recording contract from Kensington Records - who's company President, Guy Morgan, is scouting for new spectacular talent at a talent showcase for the Performing Arts Department at a prestigious private school.